I go to a integrative medicine doctor. That means that if you have something wrong, she doesn't just throw a prescription at you & send you out the door. She does very extensive blood work & then tries a more natural approach...maybe vitamins, minerals, or other supplements, changing your diet, changing up your exercise, etc. Most of the time, she'll also give you a recommendation for some reading material. When she told me that my body is in adrenal fatigue, she recommended a book by Dr. Alan Christianson called The Adrenal Reset Diet. It has an orange & white cover & has a super long sub-title. I wasn't going to read it, but I have been feeling so tired & run-down that I decided I better. Wow! What an eye opener!! There is a quiz to help you determine which level of adrenal fatigue applies to you...Stressed, Wired & Tired, or Crashed. Well, I was Crashed. Oh joy! NOT! I love to go to the gym. That's part of my stress relief & keeps my co-workers safe (LOL!). Even on days when I am exhausted, I have been pushing myself to go because I want to lose this weight so badly. BUT...here's the rub...if your body is in adrenal fatigue, that's the very worst thing you can do...pushing yourself when you are exhausted. Sooooo, I have to cut back my gym time for a bit. Dealing with adrenal fatigue is this doctor's specialty. He has endnotes that include internet links to his studies & the studies of other doctors & scientists so you can view them online. The book is full of testimonies of people he has helped. The bottom line is that if your body is in adrenal fatigue, it doesn't really matter what you eat or don't eat, or how much or little you exercise, your body is in survival mode & it is going to hold onto everything you eat & increase fat storage. Bah humbug!! So, here we go! I am praying this is the solution to my situation. I have been trying so hard for so long & I'm so frustrated. I have prayed that God would point me in the right direction so that I can get this weight off once & for all. I appreciate your prayers as well, as I'll be praying for each of you as you continue your journeys to better health. Thanks much for sharing and I do hope you are on the road to recovery and feeling well again! My doctor is the same. I really love her! I've been maintaining this weight since about the second week of school (it was up a little and then I do all this WALKING in the building!) 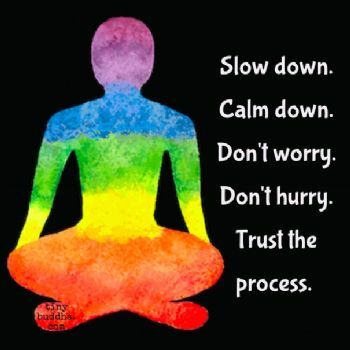 Holidays are coming, so I have to be very mindful. I'm going to check out this book. Thanks so much for sharing. Hugs and prayers to you. Yes, hopefully this will help you get to your destination and in healthy way. Dr. Christianson is wonderful! His book IS an eye opener. OH NO on being crashed. Definitely not oh joy. Godspeed getting thru adrenal fatigue. It’s not easy. The watchword is rest, which I am NOT good at!! Your integrative medicine specialist sounds awesome! Your body talks to you we need to listen to stay healthy. It is always best to listen to your own body. If it needs rest then have some. Best wishes! From what I have been reading, your doctor might have you on the right track. Good luck and thank you for sharing what you are learning. Thanks, that sounds like a book I should read as well!